I know it’s October but it’s still not too late to grill outside — or, make these inside if you like. I especially liked the marinade on these Paleo Chicken Kebobs. Delicious! The ingredients are so basic. Are you looking at that large tub of honey? It’s actually five (5) pounds of honey. You won’t be using a lot — don’t worry. We recently attended a fair and they had this raw honey on sale so we had to get it. For the veggies — you can use whatever you like. 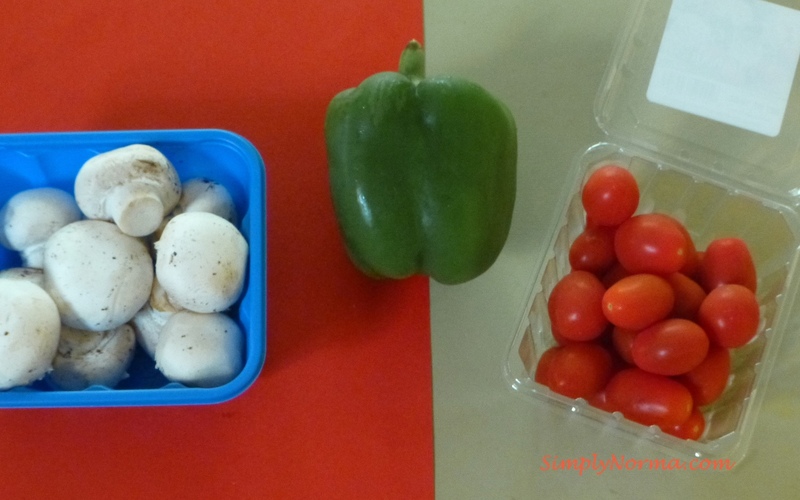 I made it simple and used a green pepper, mushrooms and tomatoes. Food does not have to be complicated in order to taste great. Ready to try this recipe? 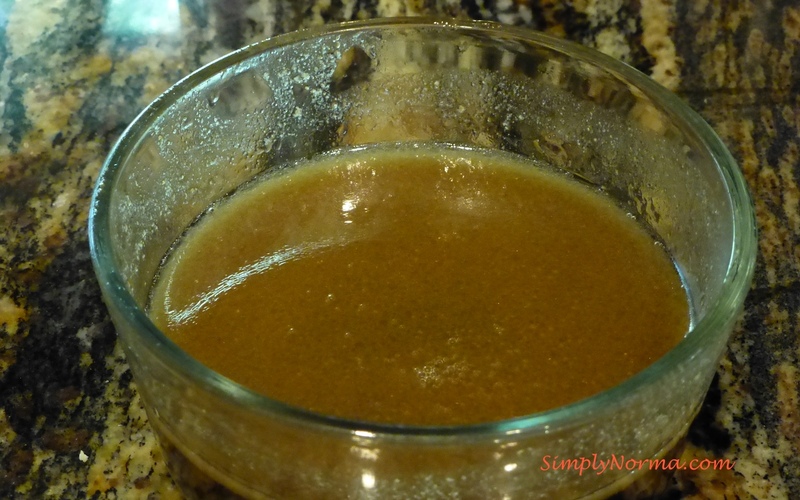 I’m planning on using this marinade for baking some chicken thighs soon. Put the cut chicken in a large shallow dish. Drain the pineapple and keep 1/2 cup juice in reserve. Set the pineapple aside. 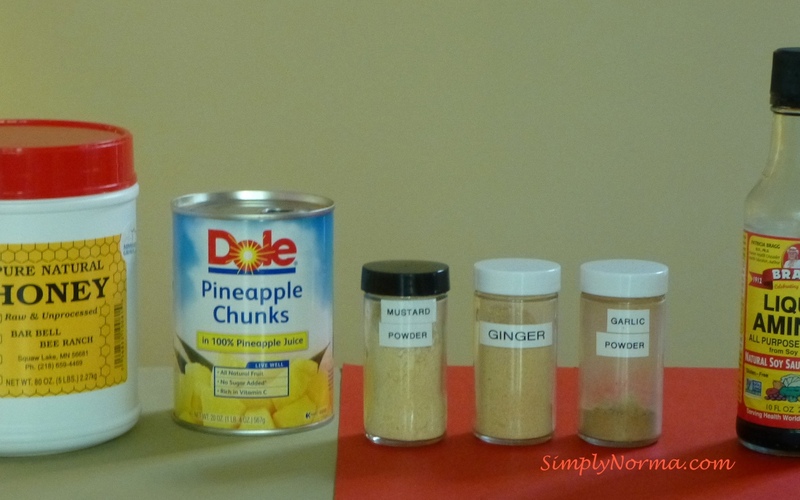 Mix the pineapple juice with the next 7 ingredients in a small pan and bring this to a boil on the stovetop. Reduce the heat and simmer the marinade for appoximately 5 minutes. Cover and chill the chicken for at least 1 hour. Remove the chicken pieces from the marinade but reserve the marinade. 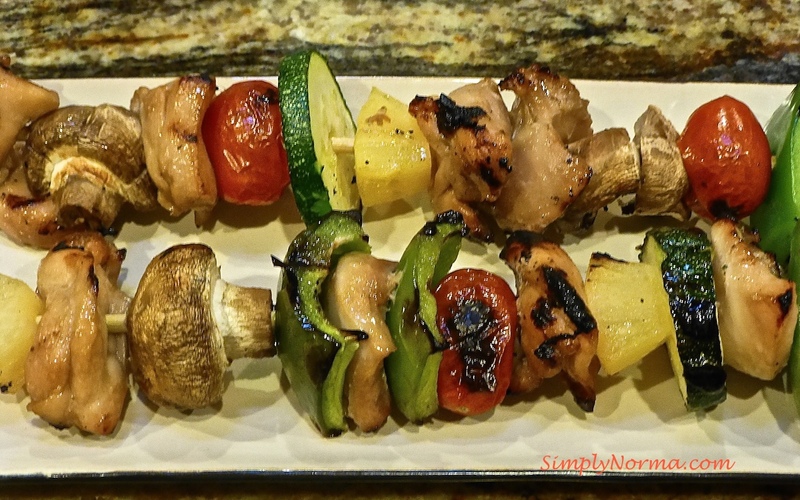 On skewers, alternate the chicken, pineapple, green pepper, mushrooms, and tomatoes. Grill the kabobs for approximately 20 minutes or until the chicken is done. Turn and baste frequently with the marinade. And that’s how easy it is. Very scrumptious! Very very scrumptious! This recipe was adapted from Hawaiian Chicken Kebobs.